Anyway, while there are many traditions surrounding winter I could happily do without, one of the few things I do appreciate about the colder months is soup. There’s nothing quite like a chunky, hearty, full of vegetable-y goodness soup and on Sunday afternoon I decided it was time to whip up a batch. Now, I can take literally no credit for this recipe. I found it on the Taste website last winter and it’s been my go-to soup ever since. I follow it to the letter with one exception – I use chicken breast instead of chicken drumsticks. 1. Heat oil in a large saucepan over medium heat. Add leek and garlic. Cook, stirring, for 2 minutes or until soft but not coloured. Add carrot, celery, zucchini and swede. Cook for 2 minutes. Stir in soup mix, stock, chicken and 1 cup cold water. Increase heat to high. Bring to the boil. 2. Reduce heat to low. Simmer, partially covered, stirring occasionally, for 1 hour or until soup mix and vegetables are tender. 3. Remove chicken legs from soup. Allow to cool slightly. Remove meat from bones. Roughly chop chicken meat and add to soup. Season with salt and pepper. Ladle soup into warmed bowls. Serve. All up it takes about 20 minutes to prepare and an hour to cook, and then you’ve got yourself enough soup to last around eight individual meals! I usually freeze a couple of containers full for the nights that I don’t feel like cooking (which seem to come more frequently in winter…). 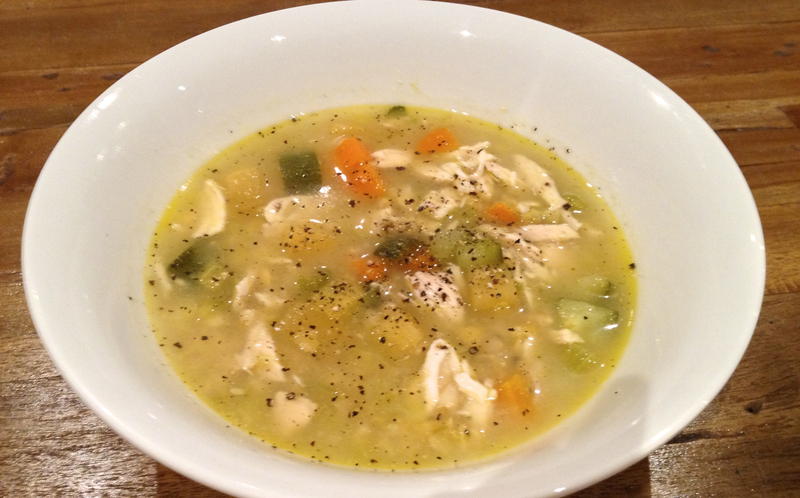 Oh and one more tip – I often need to add a little water to the soup as I reheat it, otherwise it’s a bit too thick. There’s nothing stopping you from tweaking this recipe to make it vegetarian, meatier, or even gluten-free – the only rule is that if you come up with something better (or you’ve got a totally different soup recipe I should try) then you have to let me know. 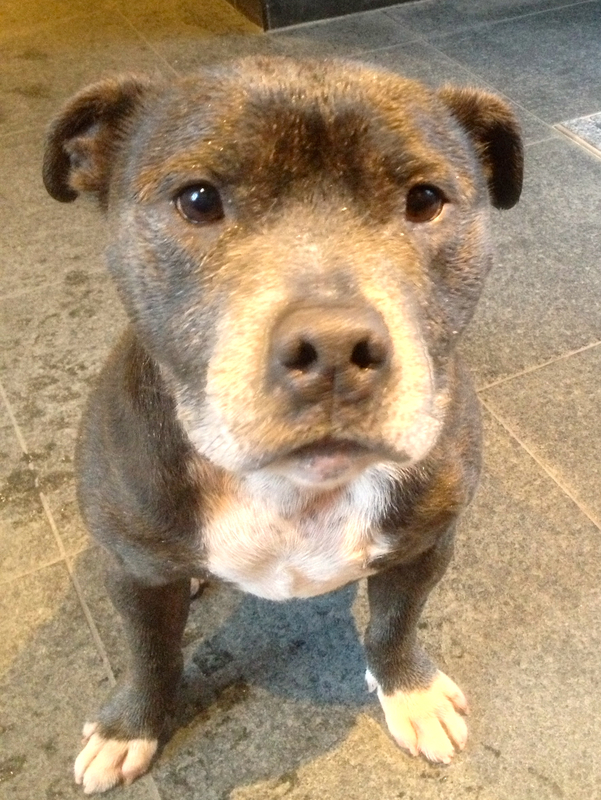 In the meantime, cross your fingers for some sunshine because I’ve got one crazy staffy who needs to get out more!